Welcome to PMB Paving and Landscapes Ltd, a family run business with over 25 years in the paving industry. 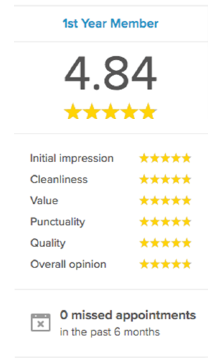 We are a professional company with a great reputation to uphold. Our aim is to complete your chosen project to the highest quality, using the best materials on the market and providing our customers with 100% satisfaction. We welcome all enquiries from homeowners and commercial customers in Hertfordshire, Middlesex and Essex. We cover a large area including Mill Hill, Hoddesdon, Harlow, Chelmsford, Romford, Woodford, Cheshunt, Harrow, Pinner, Watford, Hemel Hempstead, Potters Bar, Barnet, Enfield, Hatfield and all surrounding areas. 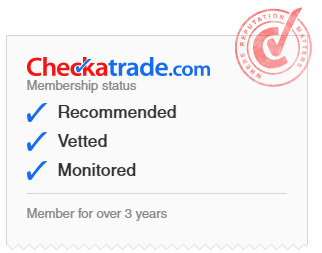 At PMB Paving and Landscapes Ltd, we are proud members of the Federation of Master Builders and Checkatrade. Check out our pages to see what our customers are really saying about us and our craftsmanship. We are so convinced that you will be delighted with your finished project, we are confident enough that we do not have to ask you to pay a deposit. We only accept full payment once the job is finished and you are completely satisfied. Our company is fully registered, fully insured and we have public liability insurance of £1m. All our work is guaranteed for 5 years. No job is too big or too small for our family run team to handle. We offer free site surveys to discuss your requirements and are happy to offer free helpful advice and guidance on any specific questions you may have. Free written quotations are offered with no obligation and we even offer a 7 day cooling off period. So, call our team today at PMB Paving and Landscapes Ltd on either Mill Hill 020 8485 7610 or Hoddesdon 01992 877629 and speak to a member of our friendly team about what you need to brighten up your home, we are waiting for your call. Before becoming a Master Builder members must meet our strict membership criteria as well as passing our vetting process. On joining, Master Builder members must have a minimum of 12 months trading, pass an independent inspection, have public and employers' liability insurance & pass credit and director checks. So as a home owner you’re assured of a better result, knowing you’re working with the best builders. Since 2011, all of our members have passed an independent inspection before joining and from 2015 all members are inspected every 3 years. Member inspections are carried out by an inspector from the British Board of Agrément, an independent organisation accredited by the United Kingdom Accreditation Service. You want to build the best you can. So do we. The FMB has championed continuous improvement in building quality for over 75 years, with members having to fulfil strict criteria before joining and committing to abide by a stringentCode of Practice. FMB members can offer you a contract on your work and a warranty from FMB Insurance Services,assuring you of a better building experience. And should something go wrong, our government approved disputes service may able to refer you to independent mediation to help you to resolve the matter. New fence and lawn re-turfed.